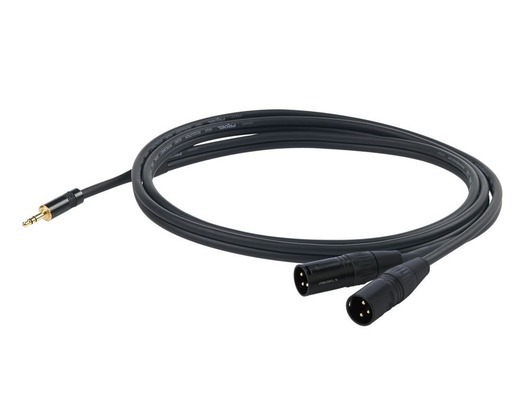 This Proel Challenge Series lead is a 3.5mm Stereo Jack to 2x 3 Pin XLR Male Plug audio interconnectiing cable. 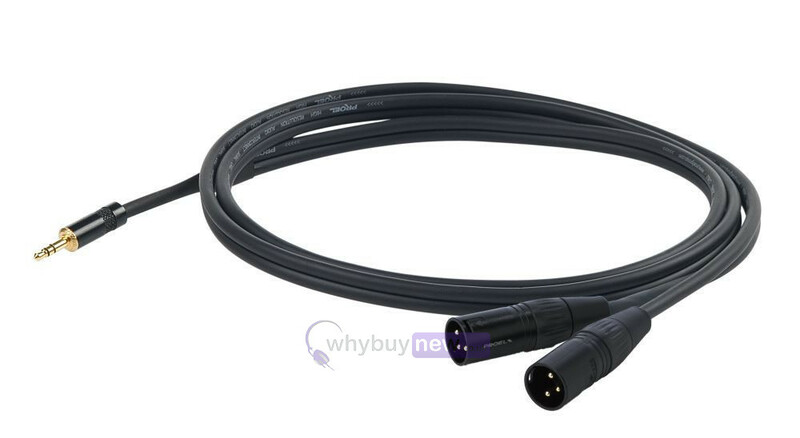 It is a professional assembled Y cable with Yongsheng 3.5mm stereo jack plug and 2x Yongsheng 3 pin XLR male plug that helps you connect a stereo jack poutput to XLR. The plugs have black housing and gold plated connections.